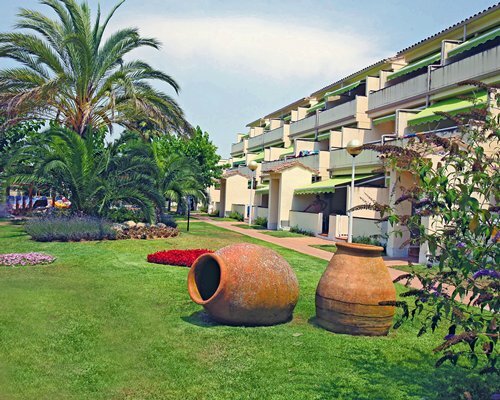 Estival Park Salou sits on the glorious shores of the Mediterranean. On the resort you will find a varied and complete range of sports facilities and a comprehensive health and beauty program. It is part of a complex with a sports club featuring tennis and squash courts. There's also a large swimming pool for adults and children, and lovely gardens to relax in. The resort's buffet cuisine is carefully planned, and an adjacent hotel invites guests to enjoy its bar and restaurant. The Estival Park complex has a wide range of apartments and bungalows to fit the needs of groups and families, and still offer all the hotel services that make for a relaxed vacation. There are towel changes and daily cleaning of all rooms except the kitchen. 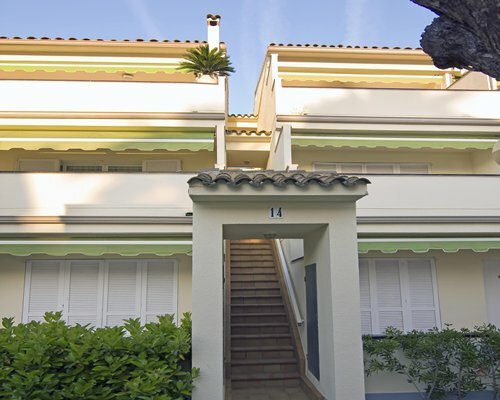 The apartments, which do not have a telephone or air conditioning, sleep up to six guests, four in privacy. There is a lounge-dinning room with a sofa bed for 2 people, and color TV. Each unit has a refrigerator and washing machine, and private exterior terrace. The province of Tarragona has long been a favorite among world travelers. 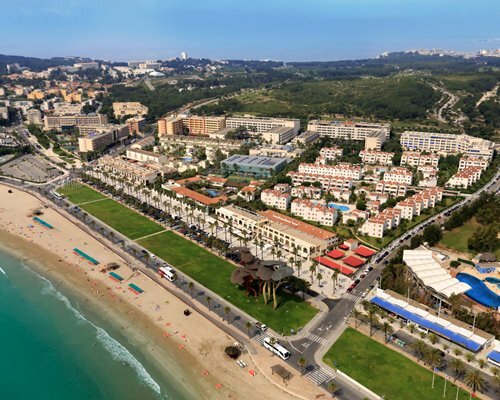 Within this geographic paradise you will find the Costa Dorada, one of the most significant and beautiful coastal landscapes on the Mediterranean coast. Here you will also find long beaches dotted with old fishing villages that have maintained their sailing traditions over the centuries, as well as several marinas. Close by is the Ebro Delta, the most important aquatic habitat on the Mediterranean, and Port Aventura, a theme park that offers highly profesional shows and plays. BY AIR: Nearest Airport, Barcelona 100kms. BY ROAD: Follow signs to the A7/AP7 motorway, which is a toll highway. Take exit S-35 and the road to Salou until you arrive at Plaza Europa. Once there take the road to Tarragona, after 4kms follow the signs to La Pineda. The resort is next to El Parque Acuatico. Mandatory Tourist Tax is 1.00 Euros. Cash or Credit is accepted.